Hatha yoga generally refers to the physical practise of yoga postures or asanas which when practiced in combination with pranayama (breathing exercises), mantras, relaxation and meditation techniques are designed to align and calm your body, mind, and spirit. People come to yoga from all walks of life and backgrounds. 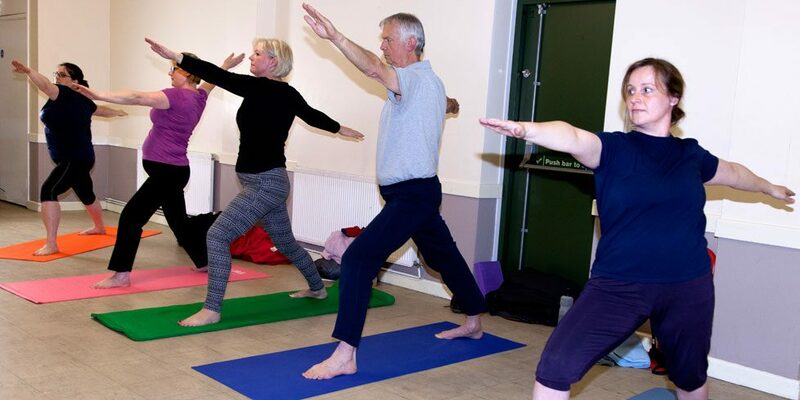 Some come to aid recovery after an illness, finding that the gentle and progressive poses help them regain a better understanding and embracing of the body while others come to find some clarity and stillness in their busy lives. Most people who have never done yoga before are anxious at what they perceive to be a challenging, difficult class, believing that they need to contort themselves in to painful poses. Nothing could be further from the truth! Geri makes everyone feel so welcome and at ease, no matter what your yoga ability level. If you live in the South Wales Valleys, you are most welcome to come and join my classes. If you live elsewhere, do check out the British Wheel of Yoga and find a teacher near you. You have been an inspiration and you are the teacher who has become a friend.